The 2019 Jeep Cherokee has a well-earned reputation for delivering gritty performance and a comfortable cabin. No matter the trim, Breckenridge drivers can expect the capable performance of a Jeep, as well as luxuries like a touchscreen display and available smartphone integration. Read on to learn more about the new Jeep Cherokee trims and their prices and features! Jeep Cherokee Latitude ($24,195 starting MSRP)—includes 17-inch wheels, keyless entry, height-adjustable front seats, 60/40-split-folding rear seats, a rearview camera, a 6-speaker audio system, and a 7-inch touchscreen. Jeep Cherokee Latitude Plus ($26,495 starting MSRP)—includes Blind Spot and Cross-Path Detection, a USB charging port, a leather-wrapped steering wheel, a power driver’s seat, and satellite radio. Jeep Cherokee Altitude ($27,490 starting MSRP)—includes 18-inch wheels, gloss black grille surrounds, and a leather-wrapped shift knob. Jeep Cherokee Limited ($30,525 starting MSRP—includes a power passenger seat, heated front seats, leather upholstery, Uconnect 4 with an 8.4-inch display, and optional LaneSense® Lane Departure Warning. Jeep Cherokee Overland ($36,275 starting MSRP)—includes Uconnect 4C NAV with an 8.4-inch display. Trailhawk® ($33,470 starting MSRP)—includes Jeep Active Drive I, Selec – Speed™ Crawl Control, ambient LED interior lighting, a 6-speaker sound system, an 8.4-inch touchscreen, and Apple CarPlay and Android Auto. memory-adjustable exterior mirrors, a foot-activated hands-free power liftgate, and optional Advanced Brake Assist. 2.4L I4 MultiAir® Engine: Standard for the Jeep Cherokee, this engine is both efficient and powerful. It generates 180 hp and 171 lb-ft of torque, while earning up to 22 mpg city/31 mpg highway. 3.2L V6 Engine: Standard on higher-tier models like Overland and Trailhawk®, this engine produces 271 hp and 239 lb-ft of torque and tows as much as 4,500 pounds. 2.0L Turbo Engine: This optional engine produces 270 hp and 295 lb-ft of torque, and earns up to 23 mpg city/31 mpg highway. 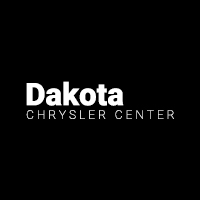 Explore the 2019 Jeep Cherokee trims at Dakota Chrysler Center! Schedule a test drive near West Fargo and Fargo to get better acquainted with this SUV’s performance and interior features. Don’t forget to check out our new vehicle specials for offers on a brand-new Jeep Cherokee! 0 comment(s) so far on What Are the 2019 Jeep Cherokee Trims?